Back in July I wrote a post talking about my history of scrapbooking and how things have progressed now to digital printing. In this post, two guests give us their perspectives on printing, and why they enjoy it so much. 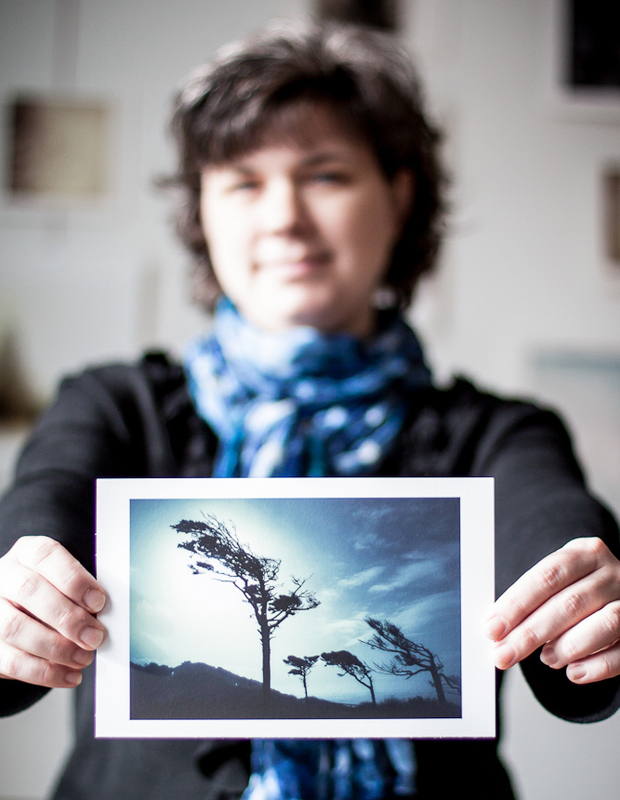 First we’ll hear from Kat Sloma about her journey as she learned to print her own digital images. Two years ago, I set myself a goal to get my photographs off my computer and into print. 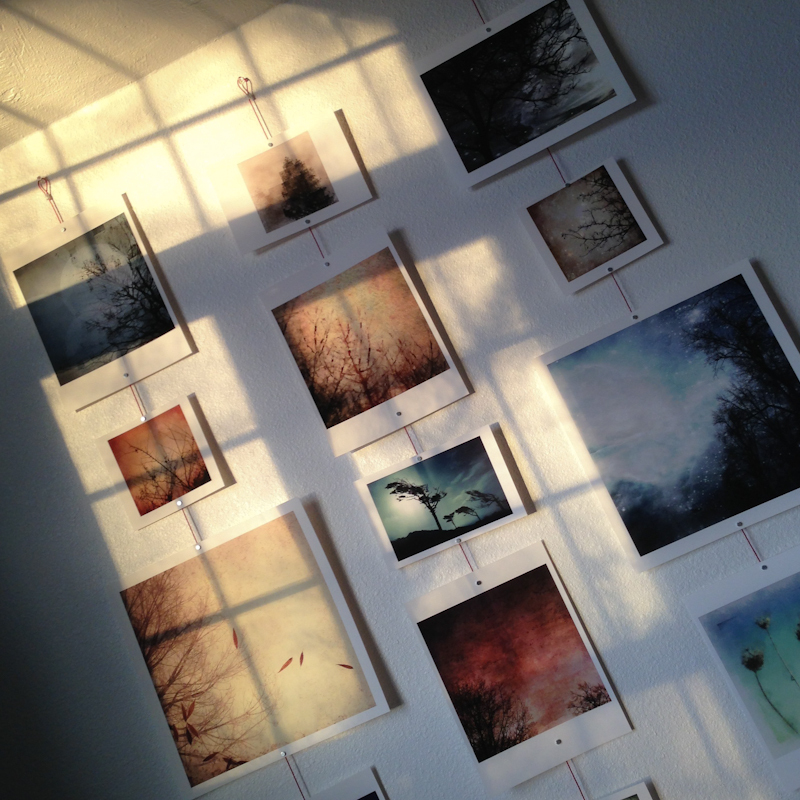 I wanted to be able to hang my photographs on the wall, or share them with others in a tangible way. So I set out about to find a service, local or online, where I could upload my image files and print. While at first I was excited to see my work in print, the more prints I ordered, the more I was disappointed with what I received. The prints didn’t have the exact colors or brightness I was expecting. There was detail missing. After several rounds of increasing frustration, I decided the best way to get what I wanted was to learn to print for myself. I did some research and then took the plunge, investing in my own inkjet printer and lots of different papers. You can’t imagine my anxiousness as I started that first print. Would I finally be able to get my photographs to look the way I envisioned, or would this whole endeavor be a black hole of time and money? But as I held that first print in my hands, something clicked into place. Yes! This was the piece of the process I was missing. The piece I didn’t even know I was missing, until I held my own print. At that moment, I finally owned the process of creating a photograph, from start to finish. From the moment of seeing and photographing, through editing, to choosing paper, printing and signing, this was my art, real and in the world. Every choice along the way was mine. Every brilliant idea or mistake, it was all in my control. I had created something that could be held, touched, and given away. It was a powerful feeling. My experience confirms what photographers long before me have known: Creating a print is as important as the rest of the photographic process. Working to get the right contrast and color, finding the perfect paper, and playing with presentation are all important parts of the process to create something enduring out of your work. While images come and go online, a print is something that can be experienced longer than it takes to click “next.” Now, when I give or sell a print to someone else, it feels right, as if I am offering the work of my heart and hands into their keeping. I know I have the means to take the raw material of the world around me and make it into something real; something you can touch and hold and hang on a wall. Printing has inspired me to become a better artist, creating compelling photographs – from start to finish. Now we’ll hear from Julie Davenport about her approach to printing her images. Some of my most treasured possessions are old family photographs. They speak of people’s possessions and their values, which I would otherwise be totally unaware of. Fast forward to now… only the other day on the radio, I heard a presenter referring to the printed image and how we must think about this, as our current means of digital storage will, in the future, become obsolete, if they have not failed altogether. This reminded me of the path that music has taken. Bakelite 78rpm records, then vinyl in various sizes, then tapes, eight track and cassette… We listened to music with all sorts of machines, as technology progressed and developed. This is now happening to our photographs. Alongside my career as a professional portrait photographer, specialising in children and equine portraiture, my guilty pleasure during my free time is of course photography! Capturing life by every means known to mankind – from digital and iPhone through to 35mm, 120 and Polaroid films – I love to record the rhythms of daily life, as well as larger personal projects. For me, it is all about the finished print – whether it be in a client album, book or folio box or presented in a top quality bespoke frame to hang on a wall. The paper that the photograph is printed on can dramatically change the look of the finished print, which is why I have a broad selection of papers to choose from when I look at contact prints in the studio and also why I choose to use a truly top Professional Photographic Printer, who does nothing else all day, every day. I am just as evangelical about my own photographic printing. I adore the contact sheets that come back from my film lab, I still get really excited about watching a Polaroid develop ‘before your very eyes’ and regularly print books of my digital photographs, these become treasures in their own right. Maybe it is a book of the year, a book of a specific happening in our lives, or the life of a pet… It is simply wonderful to leaf through these now and again. Maybe it is the knowing that we can do this without having to go and find the appropriate file on one of our hard drives, or a disc that you may keep in the attic, hoping that it does not fail us. How timely then, that I woke recently to find that Kirstin had penned an article here about exactly this – the importance of the print. 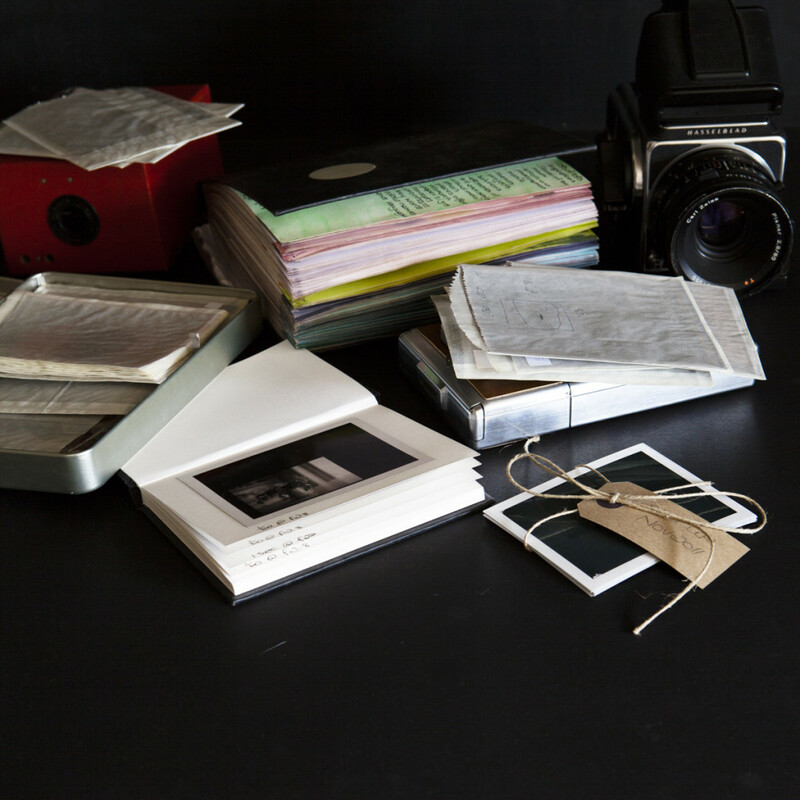 She too values the print and has documented her own history of her photographic prints – from the early, pre-digital days of the scrapbook style album where we would save menus, train tickets and meal receipts to add to the memory. I am currently playing catch up with my Instagram pics, having small 5 x 5 inch books printed – one for each month and then the best of every quarter into a seasonal book. This is perpetually reminding me of days gone by when people used to write diaries. I have always been a great fan of the interactive book. I love pages with envelopes, folding out pages to add interest in the design, but now, after reading Kirstin’s article, I feel compelled to collect those receipts, tickets and so on to paste into my own personal books, to make interactive visual diaries. You can see more of Kat Sloma’s work on her website. Julie Davenport has more of her work on her website. Loved this. I miss the act of creating the actual print. I used to spend hours in a dark room and those were some of my most happy and relaxed times in life. Would Kat and Julie share some specifics about the printers and papers they love? I would be eager to hear it! A great reminder about printing. Thanks ladies for sharing your thoughts and beautiful work here today. I enjoyed reading about your experiences! Ladies, thank you so much for sharing your words on why print is important to you both. I’m on a mission to get printing! Be certain to calibrate your monitor. Always, always use an ICC Profile. If you are attracted to the sensual, you will salivate over the luscious papers out there! Thanks, Jack. Do you have suggestions for a good printer? What size prints? What do you wish to do with your prints? One thing you should know, when it comes to printers, it is the ink that is the major cost in the long run; if you buy a more expensive printer with larger cartridges, it may well end up being cheaper in the long run because the price per ml of ink is so much less. This is so true. It actually struck me the other day how few photos I print these days. My youngest son was putting together a photographic timeline of his life for a school homework project, and I had plenty of prints up until the point at which I went digital….and SO FEW since. A sadness.